To counter this loss of revenue, many of these companies have imposed strict censorship on Skype. Due to this, people around the world are facing a big problem as now they have to make expensive international calls for contacting their loved ones. The telecom companies that are based in Belize, Brazil, Mexico, China, Columbia, Cuba, Panama, UAE and most of the countries in Middle East and South America have restricted the Skype traffic. It has been either totally blocked in these countries or it is slowed down by interfering in the connection. Are Alternates to Skype as good? In the countries where these restrictions are being followed, certain other mediums which allow people to contact each other via messaging, voice or video chats, have been either limited or seized completely. For instance Skype like above has been blocked in Belize, China, Columbia, UAE and some other countries. Many other messengers are still open for use but they do not provide the quality, speed and results that are available from Skype. Usually they do not work properly on low speed connections and cause frustration among users. Luckily for you, science and technology are advancing rapidly and daily we see more complicated and developed tools for helping netizens around the world access their favorite sites. VPN is also a similar tool that has been developed to change your IP address and encrypt your connection. Buying a VPN service is the simplest way to get through all of the tension. You just have to give the monthly subscription fee of $5 ~ $20 which also depends on the type of the service provider you choose. The configuration is pretty simple and as soon as you are setup, you can access any and every site that you want. 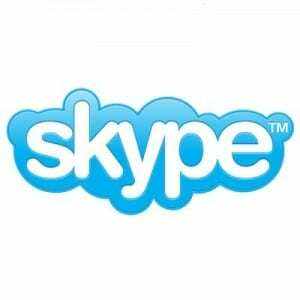 It can be said for sure that you will be pretty excites to get your Skype up and running. You can contact your friends and family and what not! But the good news is that this is not all. VPN brings you a world of entertainment that you would not have imagined before. VPN lets you access many other geo restricted websites that were previously not available in your country. These also include the world famous entertainment portals like Netflix, Hulu, Pandora and ITV.